The Land Rover Approved Certified Pre-Owned Limited Warranty begins when the Land Rover New-Vehicle Limited Warranty expires. Before a Land Rover vehicle can become a Land Rover Approved Certified Pre-Owned vehicle, it has to undergo a series of inspections and operational checks. 24/7 Roadside Assistance Coverage comes standard. The Land Rover Roadside Assistance Program will provide Land Rover vehicle owners with emergency towing services to the nearest Land Rover Retailer. Contact Land Rover's Roadside Assistance service 24 hours a day, 7 days a week. 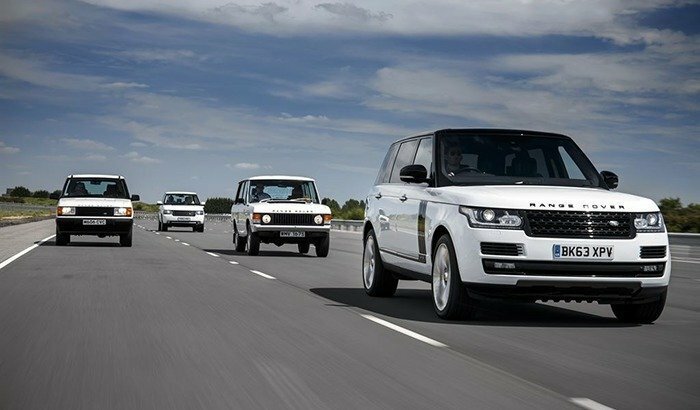 Land Rover offers competitive finance rates and flexible terms, plus the assurance of outstanding customer service. Land Rover Approved ensures that refurbishment of each vehicle is completed using the latest technology and genuine Land Rover parts. Every Land Rover Approved Certified Pre-Owned vehicle comes with a CarProof® vehicle history report. Trip interruption benefits include reimbursement of reasonable costs for lodging, meals and alternative transportation when the vehicle has been disabled as a result of a defect covered under the Land Rover Approved Warranty. Land Rover Approved coverage and benefits stay with the vehicle. Any subsequent owner will find themselves the beneficiary of the Land Rover Approved Ownership experience during the period of the warranty coverage.